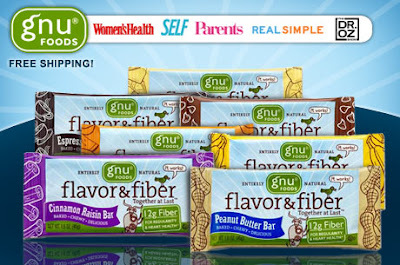 As low as $7 for 7 Fiber Bars from Gnu Foods + Free Shipping, $19 Value! Right now at Eversave you can get a 7 bar sampler set from Gnu Foods for as low as $7 shipped! This is a $19 value. The deal is on sale for $9, but new Eversave members will get a $2 credit, making it just $7. You'll be able to redeem your code immediately after purchase, so no waiting around for a voucher!